Established in 1975, LaBell Exchange has provided high-quality call center service to thousands of clients throughout Southern California. As part of our service, we often provide information screening for clients that need help determining which callers meet specific criteria. We've worked with a wide range of clients across Orange County, San Diego, and Los Angeles, ranging from human resource departments that need assistance in pre-screening job applicants to attorneys specializing in class action lawsuits to companies determining customer eligibility for recalls. In each case, we customized our services to meet their unique needs. Information screening is typically part of a broader phone answering package that may include scheduling management, call forwarding, advanced message delivery, call routing, order taking, voicemail, and more. These services are provided by our nationally recognized answering service operators who are available 24/7 to answer calls and highly experienced in guiding callers through all kinds of questionnaires. They are renowned for their courtesy, professionalism, accuracy, and exceptional customer service. Typically, calls are answered within three rings, and our clients have the option to record all calls, receive phone analytics, and integrate email, text messaging, and fax features into their account. To learn more, call our answering service company today. We'll work with you to develop a phone answering script with a screening process. You'll be given your own dedicated and confidential line, as well as the option to set up a local or 1-800 number. 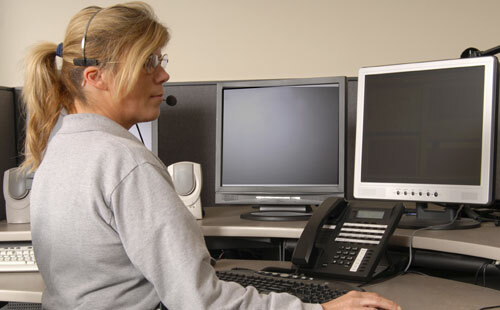 We continually update our systems to keep up with the latest telecommunications technology and provide extensive training to and supervision of our operators.